According to Ervin Laszlo, we are at a critical juncture in history, a �decision-window� where we face the danger of global collapse--or the opportunity for global renewal. 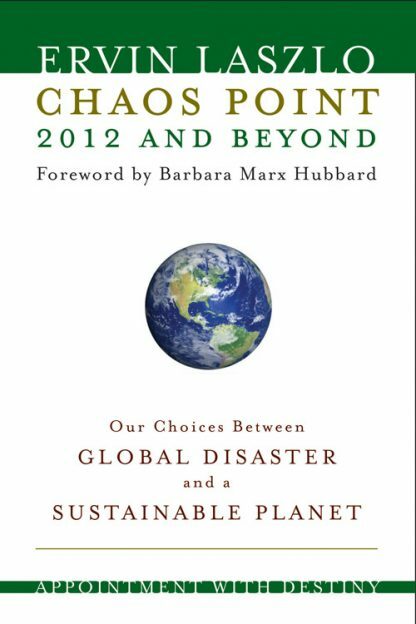 He presents a concise overview of the current crises we face (environmental, social, economic, and institutional), persuasively arguing that if something is not done quickly, we face disaster. We have the opportunity right now to head off trends that could lead to a critical tipping point. Laszlo�s solution is a global consciousness shift that entails a new universal morality, a new ecological awareness, and a reverence and caring for the earth. Included here are concrete suggestions of what the reader can do to promote this shift in evolutionary consciousness. Ervin Laszlo is a Hungarian philosopher of science, systems theorist, integral theorist, and classical pianist. He has published over 75 books and has a Ph.D. from the Sorbonne in Italy where he currently resides.